We know what you're thinking. With the Dura-Ace CS-9000, Shimano has done more than simply added an extra cog on to last year's 10-speed model. 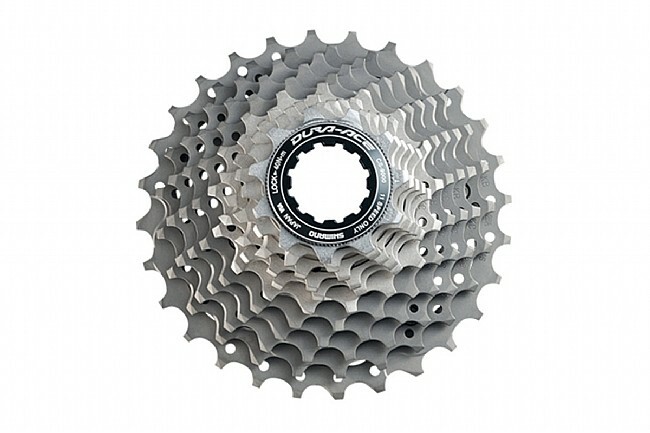 In addition to its extra sprocket, this updated cassette boasts completely redesigned Hyperglide tooth profiles for reliable performance with the narrower CN-9000 chain, a carbon mid spider carrier keeps the weight low, and new gearing options ensure an ideal spread for every rider, and any terrain.